productivity with ARC Mobile Facilities Dashboards. Gain deeper insights and create a personalized report that you can share with colleagues. Customize the data to reflect actual costs and discover the full impact of your cost savings. your actual data for our industry-standard* values. In our survey of 179 facilities managers, we found that workers spend nearly an hour per day searching for documents. Mobile Facilities Dashboards organize all your building and facilities information for instant access to Floor Plans, As-Builts, Warranties, O&Ms, Shut Offs and more. Operational costs and risk exposure rise quickly as the number of buildings increases. Mobile Facilities Dashboards help control costs, mitigate risk and improve productivity. Exclude any outdoor space such as landscaped grounds, open air seating, parking and storage lots. Only 46% of important facilities information is stored digitally. Cloud storage enables instant access while securing documents from loss or damage. The national average for office space is $40 per square foot. Rates vary based on the type of facility and geography. Enter a value that reflects your actual cost. Thousands of hours each year are spent looking for building documents. Dashboard improve team productivity, customer service and employee onboarding. The national average wage for a Facilities Engineer is $38/hour. The average facilities team records 50 hours of overtime per month. Mobile dashboards help eliminate wasted time required to complete daily tasks. 91% of managers report that having current As-Builts is important. However only 50% have access to these drawings. Mobile Dashboards provide instant access to Floorplans, As-Builts, Manuals and more. Survey results indicate that the average team has 29% of the team set to retire within 10 years. On average, 29% of facilities team workers are 55 years or older. Dashboards are the ideal tool to capture and transfer experiential knowledge into a digital resource accessible by all workers. With Mobile Facilities Dashboards, complete building information is instantly available to new team members. Mobile Dashboards can reduce the “follow along” time for new hires. Instant access to Floorplans, Shut-Offs and Warranties means even new hires can locate critical systems quickly and respond accordingly. Facilities teams face difficult challenges to minimize risk and reduce financial exposure when things go wrong. Instant access to critical information like shut-offs and As-Builts can save time and money during an emergency situation. 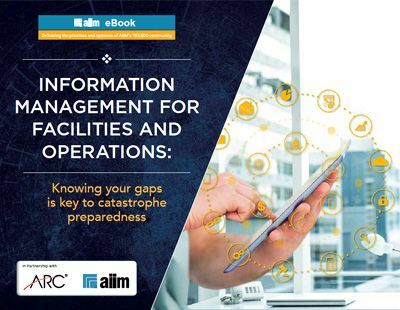 According to our survey of 179 Facilities Managers and Executives, the average cost for a catastrophic event is $506,000. Fire is the most expensive at $806,000 while vandalism at $208,000 is the least expensive. 179 Facilities Managers and Executives reported that the average time between catastrophic events decreased as the number of buildings increased. Response time is the critical factor in preventing accidents from becoming catastrophes. Reduce response times with instant access and sharing of Shut-Offs, As-Builts and Emergency Plans with Mobile Facilities Dashboards. Please rate these challenges in terms of (1) least important and (5) most important. What other challenges is your team facing? During an emergency, ARC Mobile Facilities Dashboards enable teams to quickly locate critical information, take action and minimize costs. Controlling costs in facilities management starts with information. Schedule a call to learn how we help facilities teams save BIG on labor, document storage, risk mitigation and more. Estimated savings based on facilities industry research conducted by AIIM (Association for Information Management). Results may vary based on geography, industry and other factors.